We have a team of experts in Troutman, NC who can build or remodel mobile homes to make sure the design will suit your needs. Mobile Homes in Troutman NC – Mobile homes are a great option for home buyers who are on a budget. Since mobile homes are much more economical than other styles of homes, it makes it easier to find the perfect space without breaking the bank. At 1st Choice Home Centers, we offer mobile homes to clients in and around Troutman, North Carolina. We have a team of experts who can build or remodel mobile homes to make sure the design will suit your needs. Our team uses high-quality building materials to protect your family from the elements. Mobile homes are also called manufactured homes. They have different building codes and requirements than traditional homes. Each element of the home is manufactured at another location and then brought to the work site to assemble and attach it to a permanent chassis. From there, the home can then move to a new location. At 1st Choice Home Centers, we will not move a home to another location until the building process is complete, as it can be dangerous and cause the home to fall apart. We want to be sure that your new mobile home is safe and secure for you and your loved ones. 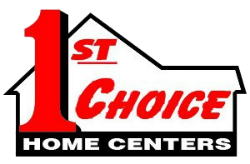 1st Choice Home Center has been in business since 1999, building mobile homes and other styles of homes throughout Statesville, North Carolina and many of the surrounding cities. Some of our homes are already built, so you can move right in, while others will require a waiting period while we complete construction.